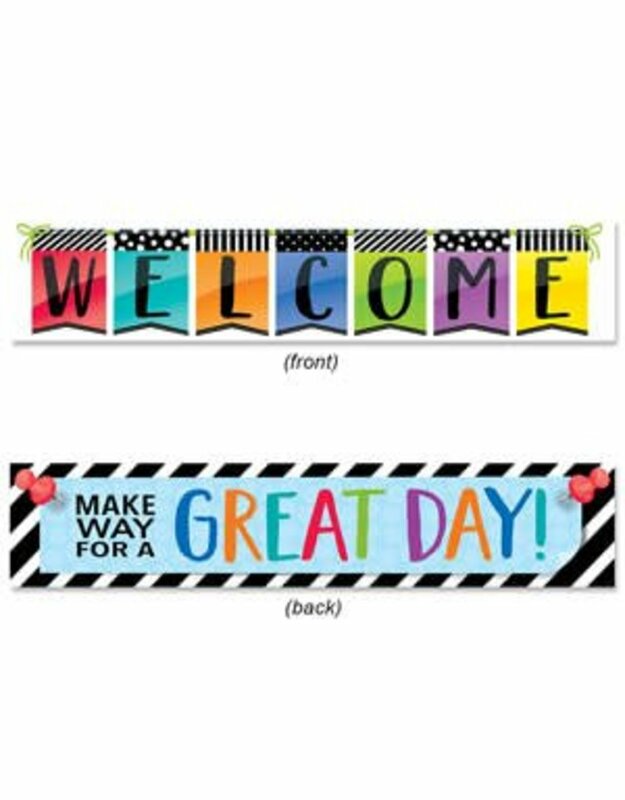 Make a positive statement with the Bold & Bright Banner This versatile 2-sided banner features a different message on each side-Si Welcome and Side 2 Make Way for a Great Day. It can be used during back-to-school to welcome students and parents then flipped over for a positive, inspirational message the rest of the school year. 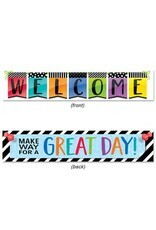 The colorful design and motivational messages make this banner perfect to use in so many places-the classroom, office, hallway, church, daycare, college dorm, and more! The fully assembled banner measures over 3 feet wide!